Sometimes it takes a worm headed hero to stare the ugliness of undeath right in its bony face and use his boomstick to wipe that maniacal grin off its smirking skull. 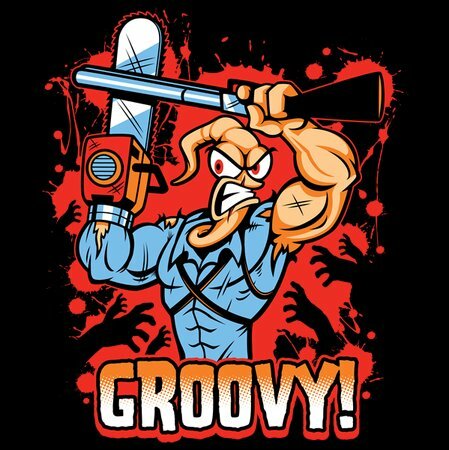 When the dead turn evil, and rotten things start crawling out of the ground, call Jim to come to your rescue and chainsaw your worries away. He may be an earthworm at heart, but it takes a ground dwelling insect to know when something has gone wrong with the soil. 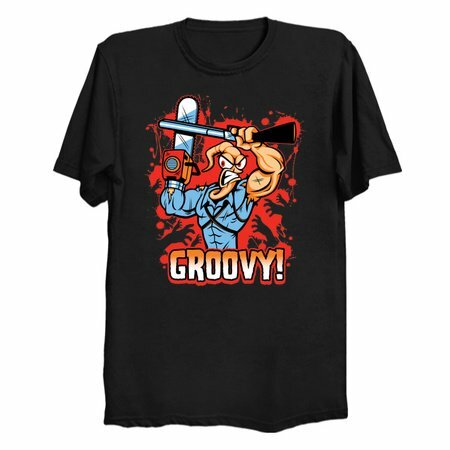 Stare the evil that is outdated fashion dead in the eye and bring a little video game horror movie crossover love into your closet with this Groovy t-shirt by Harebrained Design.